Spring and Summer is such an exciting season with the promise of delicate fabrics, lighter colour palates and warm memories to be made wearing these pieces. From the must-have prints to new season denim, these are the trends you'll be wearing this season. Loved by the likes of Princess Diana and Audrey Hepburn, the polka dot print is timeless and continues to reappear on the runway. From A.W.A.K.E's bold, extra large dots to Valentino’s and Rodarte’s colourful and ditsy spots, there are so many stylish ways to add this print into your Spring/Summer wardrobe. SS18's Safari trend is about combining practical pieces with relaxed, casual separates in a colour palette of khaki, straw and ecru. Taking inspiration from Derek Lam and Matthews Adams Dolan, wear a pocket shirt with oversized cuffs and finish the look off with a straw circle bag. The 'ride and die' blue denim has been replaced with white to create very summer-appropriate outfits. But far from being boring, this denim features contrast stitching like Dion Lee and abstract pebble & shell buttons as seen on the Rejina Pyo runway, as a way to give these pieces a new feel. Whether it's mint green, dusty yellow, baby pink, lilac or duck egg blue, designers have made pastel colours cool and fresh rather than cute and ageing. 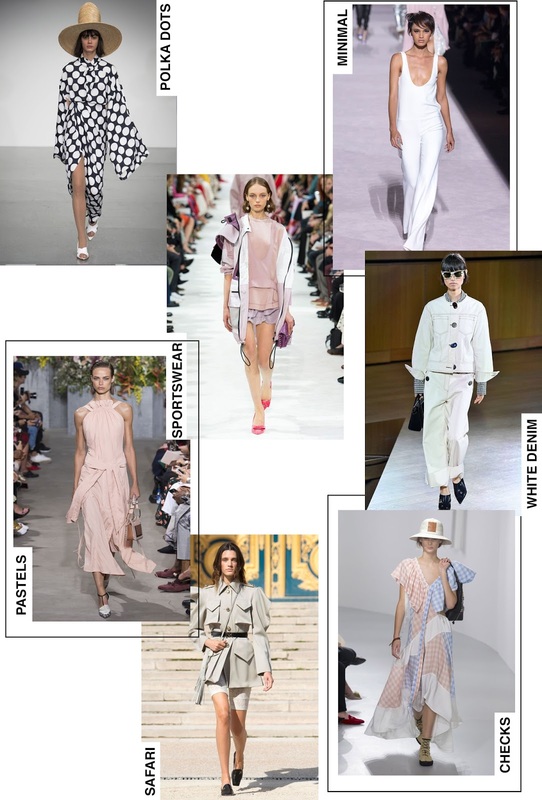 Pastel tones appeared in nearly every style from utility chic at Marta Jakubowski or soft tailoring at Milan Schon, there's no excuse to not be wearing the trend. 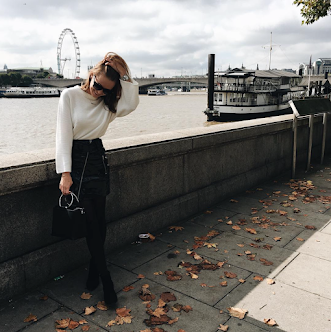 In a season full of print and colour, the minimal trend offers us another option. The epitome of 90s fashion, the more conscious designer and shopper understands the importance of buying investment pieces that can be worn with nearly anything like Ralph Lauren's bandeau jumpsuit. Is there a more appropriate print for Spring than the check? After the popularity of the Prince of Wales check in AW17, the gingham check was featured by many designers. The check came in a spectrum of colours with pastels at Loewe, bold reds at Hermes and dark palates at Fendi which means you can wear print whether the sun is shining or not. For Spring/Summer this trend is a mixture of practical sportswear pieces with opulent luxurious separates. It may take a brave person to pull off the look a la Louis Vuitton so pick elements of these looks you like best and pair your best party or workwear with your favourite athletic wear.